Welcome to the home of Ginsberg Agency – your premier choice for NY insurance! Welcome to Ginsberg Agency. Our insurance agency is located in Oceanside, NY and serves the insurance needs of individuals, families, and businesses in Nassau and Suffolk counties, and the NYC metropolitan area. Since 1975, we have helped our clients secure quality insurance policies for their personal and business insurance requirements. We offer a broad network of insurance providers to ensure the best rates and options for both business and personal insurance. Our goal is to match our clients with the insurance package that caters to their lifestyle or business. The knowledgeable insurance agents at Ginsberg Agency have extensive knowledge of all aspects of insurance to provide dependable coverage across the state of New York. You can rely on us for the most affordable insurance quote for auto insurance, workers compensation insurance, and other coverage. As your insurance agent, we take the time to evaluate your insurance needs and provide the skill and expertise expected from an established community driven insurance agency. We are committed to finding the right solution to give you the peace of mind of knowing that your most important assets are covered. 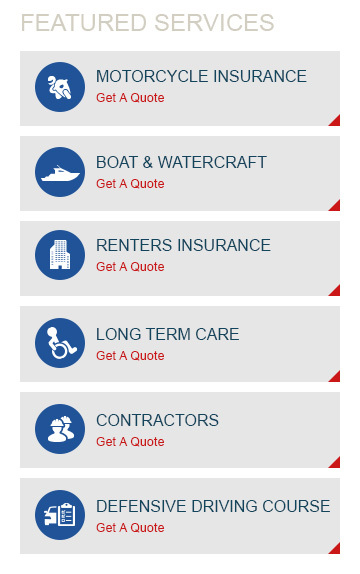 Your automobile insurance, boat insurance, and commercial insurance needs are our top priority. Our insurance specialists can assist you with expert coverage options, including business insurance packages, workers compensation, life insurance, homeowners, flood insurance, and more. We understand that each situation is unique and we create custom policy options that are tailored to you. Ginsberg Agency is licensed in New York, New Jersey, and Connecticut to provide comprehensive insurance services for individuals and businesses in the Nassau and Suffolk Counties and the metropolitan NYC area. Request free insurance quotes through our website or contact our office at 516-766-4025 to speak with an insurance agent.